John Piper has been exhibiting paintings for over 40 years. Over that time his work has evolved from simple pencil drawings on board in the 1970s to the more textured oil paintings he is well-known for today. However the inspriation and the subject matter has remained the same: the landscape and buildings of West Penwith. John Piper was born in Salisbury, Wiltshire in 1946 and moved to Cornwall while still at school. He soon discovered the contemporary paintings being shown in St Ives and first exhibited his own work in the late 1960s. He taught painting, drawing and ceramics in schools in Penzance for twenty years before leaving in order to paint full time. 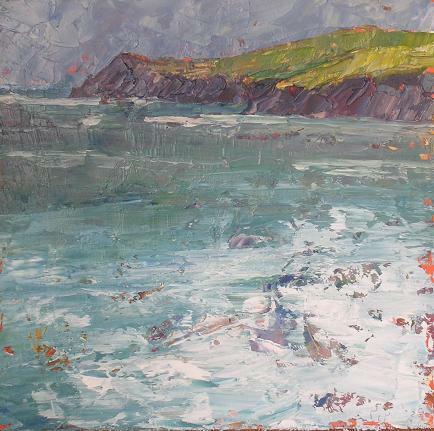 Today he lives close to Land's End and works from his studio, a converted barn overlooking the Penwith moors. Many of the unsold paintings are still available to purchase. Please contact us for details.